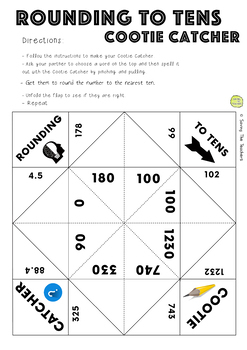 This activity is a cootie catcher (or fortune teller) for rounding to the nearest units, tens, hundreds, and thousands. 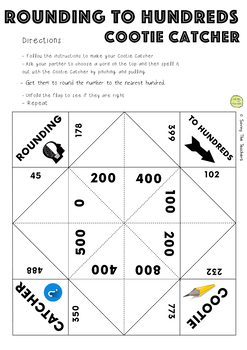 It’s a great lesson starter or activity that will improve your class’ skills at rounding numbers without them even realising that they are learning! 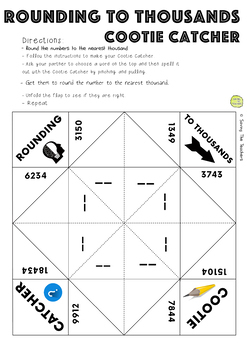 They will be engaged and excited with this addictive activity (as I am sure you will be too!). 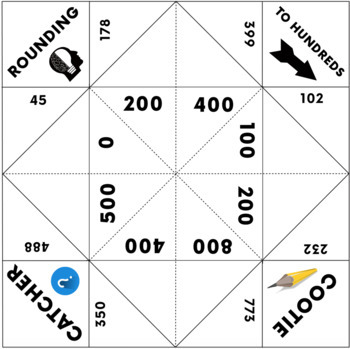 This pack includes a both complete cootie catchers with all the answers filled in, as well as blank cootie catchers where the questions must be completed before playing the game. Folding and playing directions are also included. Also, be sure to visit my store and FOLLOW ME to see my new products and hear about upcoming sales!